Find out the scoop and unveil the truth of outsourcing services. It’s no secret that outsourcing services have become a major factor for increased efficiency and revenue for thousands of businesses. Aside from the cost-effective advantages that come from outsourcing, the main objective is to build efficient, leaner companies. And who doesn’t want that? To be leaner, companies have opted to use outsourcing services as a solution for their staffing needs. Outsourcing services contribute to the growth and success of your organization while helping control payroll and other expenses. However, there are many false assumptions about how the process works. For some, business process outsourcing (commonly known as BPO services) is perceived as a complicated measure or another expense. In other cases, companies are timid when investing in these services, since they don’t fully understand how BPO works. 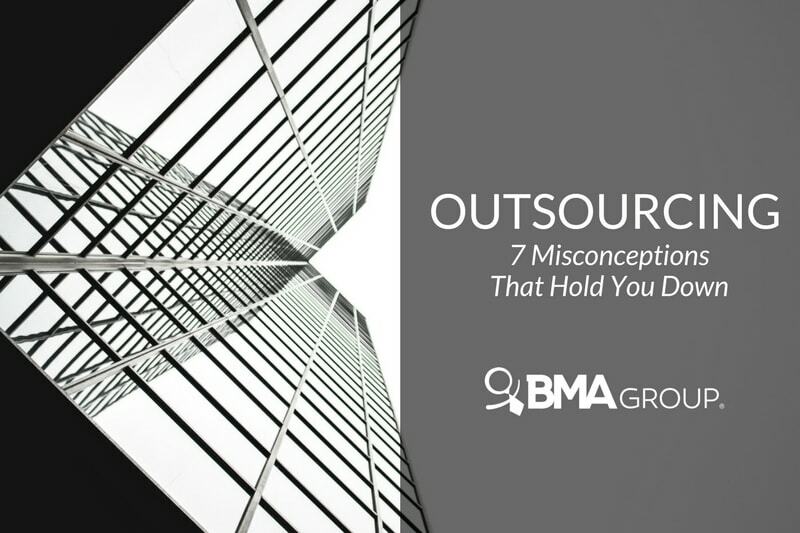 Here’s the scoop on 7 common misconceptions about outsourcing; setting the record straight. The cost of implementing BPO services in a business is often misinterpreted. Rather than being an expense, these services are an investment in the future of your business. By contracting BPO services, you are cutting down administrative costs. Some of these costs include: advertising available job positions, recruiting, hiring and training new employees for a department. When you outsource, you’re employing a specialized staff to improve your company’s productivity without having to spend on payroll and other expenses related to an in-house HR department. In any business, contracts are essential. A contract clearly specifies the agreement between both parties, leaving almost no room for misunderstandings. However, driven by their staffing necessities, many companies draft informal documents when contracting BPO services. These types of documents are resourceful for the partnership, but they won’t substitute a formal contract. To avoid misunderstandings, it’s best to have a contract, in addition to keeping a positive and constant communication with your outsourcing company. After all, their purpose is to propel your company to success. Every company shares at least three business objectives: incrementing productivity, earning revenue and achieving overall efficiency. When you outsource, you’re one step closer to accomplishing these goals. Nevertheless, many companies don’t fully understand the nature of these programs. They assume that, like commodities, there’s nothing to worry about after paying a one-time fee. However, implementing BPO services has a transaction fee and a few additional expenses, needed to provide the best service possible. Some of the expenses might include the cost of moving the BPO firm’s operation from their location to yours, as well as monitoring the company’s performance. The alluring aspect of outsourcing services comes from the viability it offers. To maximize their potential, many small and medium-sized businesses are outsourcing services to meet their needs. BPO services present an affordable solution for any company, no matter its size. Corporate culture is vital to the growth of any business. It’s a fact that an engaged team will perform better, and thus, increment your company’s productivity. While many firms fear that bringing a third-party into the mix will upset its organizational culture, leading BPO companies will acknowledge your staff’s needs and provide adept talents that fit in your corporate culture. It’s common for executives to think that investing in your own company is more profitable than investing on a third-party service to provide staffing solutions. However, an in-house department’s costs are far higher than hiring BPO services. Think about all you are saving given that your company doesn’t have to spend on employee’s payroll, extra office space and technology equipment. At the end of the day, integrating BPO services is more cost-effective than developing and supporting an in-house department. The truth is that leading outsourcing companies want to help your firm succeed. To do it, they will look at you as a partner, not as a client. BPO agencies will invest resources in getting to know your company. From providing the latest technological equipment to searching for skillful, culture fit talents, BPO services can do it all. It’s not another job for them! Expert outsourcers want your business to excel above others. It’s a win-win situation. It’s no secret that outsourcing services have been revolutionizing industries worldwide. From small companies to multinationals, outsourcers have the solutions you need to get to the top. What are you waiting for? Stand out from the rest and invest in the future of your business with BPO services. Thanks for debunking these misconceptions! Answering these kinds of questions can be tough so it’s always great to hear different takes and point of views with regards of the subject and things of that nature. Thank you, Henry! Through our blog, our main goal is to educate and provide useful and actionable insights that will be of real value to our fans, friends, partners and clients. Have a great day! !